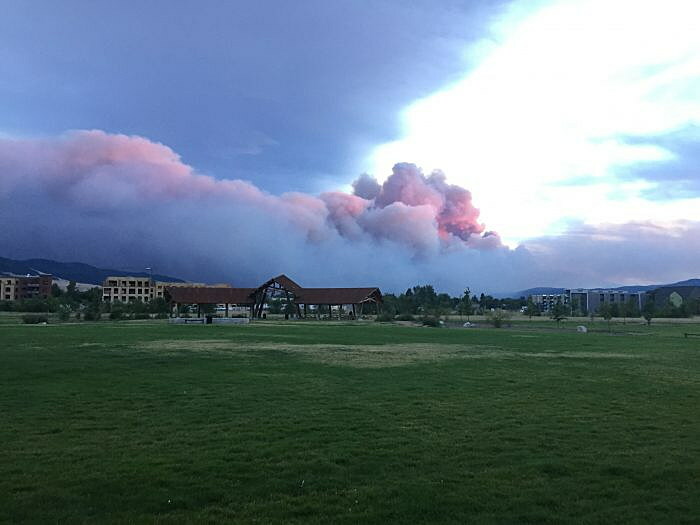 Wildfire smoke from the 2017 Lolo Peak fire billows thousands of feet during a late-afternoon blowup. 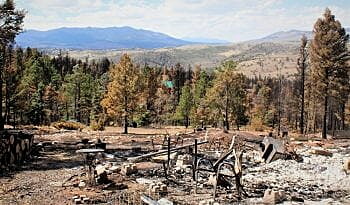 Renowned wildfire scientist Jack Cohen wants Missoula area residents to know wildfires don’t usually burn homes in communities; poor wildfire preparation does. 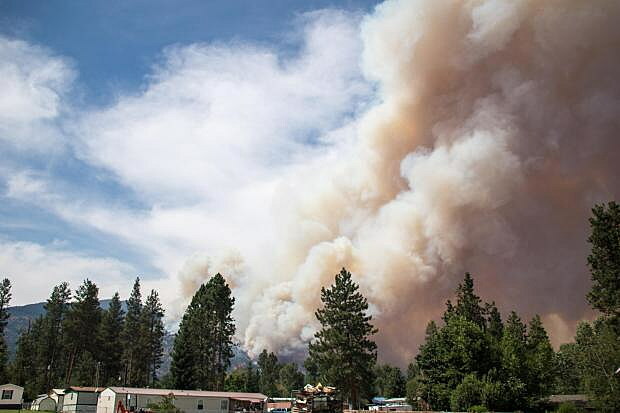 During the meeting, Forest Service employees explained the National Cohesive Wildland Fire Management Strategy, which seeks to make communities more fire-resistant and emphasizes multi-agency partnerships to manage lands before and during wildfire events. To hear Cohen’s information, attend one of the other three talks: 6:30 p.m., April 8, at the University of Montana Theater; 6:30 p.m., April 17, at the Grant Creek Best Western Inn; and 7 p.m., April 24, at the Target Range School.